If you had to press the buttons a few times before you managed to change the channel on TV, you know the batteries in the remote are going flat. You do not have any spare batteries and it is a hassle to run down to the 24-hour convenience store so late at night. While you can walk to the TV and change the channels there, a better option would be to stock up on USBcell batteries. These are rechargeable AA NiMH batteries with built-in intelligent charger features. Beneath the little green top on each battery is a USB port that can be conveniently plugged into a computer or USB adaptor for recharging. The batteries take just about an hour to be charged halfway and about five hours to be fully charged. The batteries can be used for hundreds of recharge before they need to be replaced. 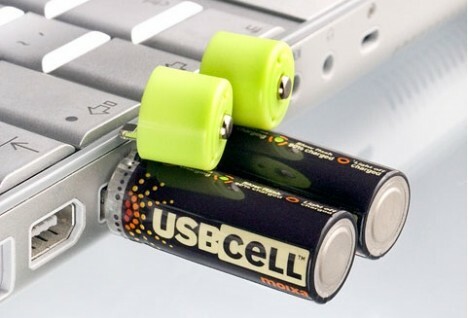 Priced at approximately $17 for a pair of batteries, USBcell is available in retail and online stores. Recharging batteries rather than disposing off hundreds of alkaline batteries also helps towards creating a sustainable environment.